Recognition and commitments … we are operators of sustainable quality tourism. UNESCO Cultural Tourism Award, promoted by L’Agenzia di Viaggi Magazine. We have won this prize by proposing a tourist package that enhances the UNESCO Heritage of our territory. The package was created thanks to our partners Slow Lake Como and Burgio Carri Eco Rent. 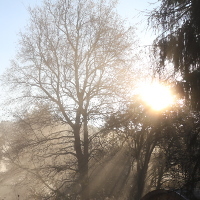 Cascina Rodiani joined the Commitment Agreement LAKE COMO IS GREEN promoted by Provincia di Como, the Como Chamber of Commerce and the Como Protected Area Management Board. 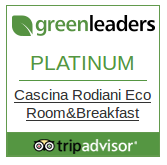 Cascina Rodiani has collaborated with TripAdvoisor in the review of the Eco Leaders questionnaire, made available to affiliates to the reviews web portal, to evaluate the environmental impact. The quality of the evaluation questionnaire is excellent. The quality of the evaluation questionnaire is excellent. Prize Lega Ambiente Turismo – Friends of Clima. Cascina Rodiani is a member of Lega Ambiente Turismo and this award was our first step!